With core technology derived from Roland’s award-winning V-Piano®, the new HPi-6F Digital Piano features amazing SuperNATURAL® Piano sound, PHA II “Ivory Feel” keyboards, and interactive DigiScore® training programs. 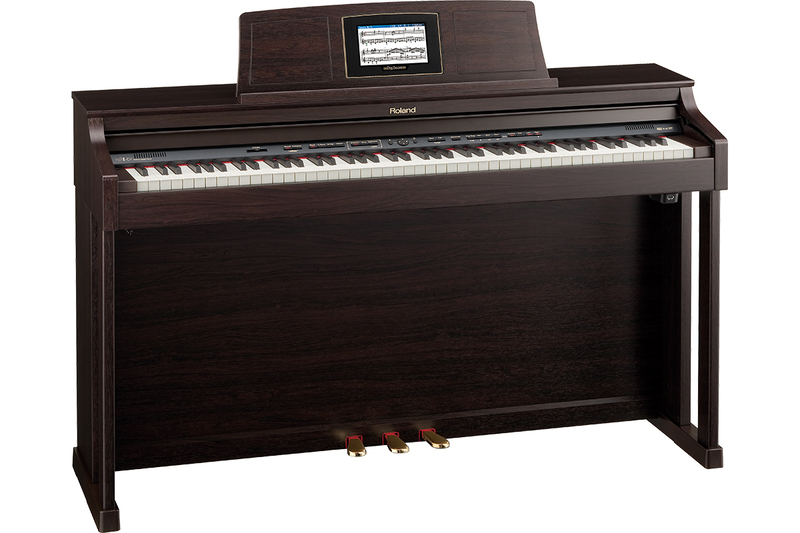 A large, flat-screen LCD is built into the music rest of each piano, providing “digital sheet music” and a variety of skill-building programs. DigiScore makes learning fun, and can even evaluate your performances and check your finger strength. These incredible sounding educational pianos fully realize the dreams of piano students, teachers, and performers of all ages.